Congratulations on your decision to learn a new language. Our World Language Department offers Continuing Education programs for general language learners, business and health professionals, language teachers, and more. We recommend that you check out the full descriptions of each of these programs on our web site. I am also pleased to introduce you to our World Language Faculty. All of our instructors are highly experienced and trained in teaching language, and many hold advanced degrees in relevant fields. They share a commitment to provide you with the very highest quality learning experience. We look forward to seeing you in class and being a part of your language learning journey. On behalf of WAL, I extend a warm welcome to you. Khalid graduated from Sana’a University in 1994 with a Bachelor’s Degree in Education. He started teaching English in the Yemeni Public School System after graduation. Also during this time, he started to teach Arabic to foreign students at the Yemen Language Center (YLC), currently Yemen College of Middle Eastern Studies, in Sana’a. Khalid has also taught at the School of Seattle (ISS) and Seattle Language Academy (SLA). Khalid has been teaching Arabic as a second language for over 15 years now, and has worked with people from many different cultures, backgrounds, and with differing language abilities. He is adept at focusing on what each student as an individual needs to help them learn best. Ruiqin Miao r eceived her B.A. in English Language & Literature from Hunan University, China (1993), M.A. in English Linguistics & Applied Linguistics from the same university (1996), and Ph.D. in Linguistics from the State University of New York at Stony Brook (2005). She has taught Chinese, ESL and linguistics at universities in China and the United States since 1996. Her research focuses on second language acquisition, phonetics/phonology, bilingualism, sociolinguistics and Chinese linguistics. Ruiqin has published college-level ESL textbooks, monographs on second language acquisition, as well as papers in refereed journals and edited volumes. She has also presented extensively at international conferences. 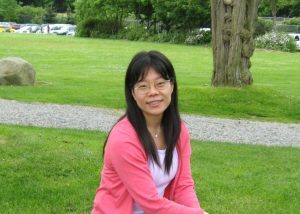 Jin Chen was a principal and had four years of teaching Chinese and management experience in her own school in China. She also earned M.A. in Curriculum and Instruction Chinese from Cleveland State University, and got Chinese Language Teacher License of the Ohio state. She has teaching experience in both private and public high schools in the US. She also teaches in the STARTALK program. Drawing from her education and experience, Jin expertly uses productive instruction methods to motivate and promote student learning. In her class, students feel positive, confident and exciting. They enjoy her class activities and immersion-style teaching. Jin Chen is also good at creating electronic comic books, audio books and videos. She effectively incorporates Chinese culture into her mini-books for language teaching. As a native of China, Xiuting Liu went to Beijing Language and Culture University through early admission, where she studied Japanese Literature. During that time, she began teaching Chinese to people from various countries with different backgrounds. After moving to the U.S., Xiuting earned her BA in Educational Studies and M.Ed. in Learning and Technology. She has experience in both public and private schools, where she has taught multiple subjects: Chinese, math, and science. Xiuting takes pride connecting with students through an engaging teaching style. Besides teaching, Xiuting also has AWS Solutions Architect Associate certificate and is pursuing a degree in Data Analytics. 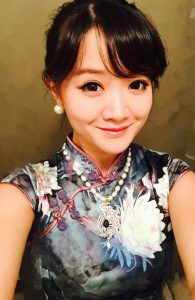 In her free time, she likes to do escape rooms, read about various subjects, and work on the content of her Chinese learning blog and the associated YouTube Channel (www.chineseclass.education). Kelly has a Master’s degree in Teaching Chinese to Speakers of Other Languages at Fudan University. She was a Mandarin instructor in Fudan University (Shanghai, China) from 2011 to 2013. During that time, she also taught Mandarin in Edinburgh University as well as Confucius Institute for Scotland, which was set up with Sino-Scottish Government backing and partnered with Hanban and Fudan University. Kelly has been teaching at CityU since July, 2015. Originally from Montréal in Canada, Gabrielle is a native French speaker. She studied at the University of Québec in Trois-Rivières where she received, in 2009, a Bachelor’s Degree in Teaching English and Spanish. After completing her Degree, she traveled to Mexico, where she worked for one year as a French Language Assistant in a high school. Back in Montreal in 2010, Gabrielle started a Master’s degree in Language Didactics while working as a French Teacher to adult learners at McGill University for five years. She moved to Seattle in 2016 and is excited to be pursuing her teaching career at WAL. In her free time, Gabrielle enjoys traveling and exploring the Northwest’s extensive outdoors. Pauline is a French native born and raised in Normandy. While studying abroad in Florence, Italy she discovered her passion for languages and began teaching French in 2014 in Oklahoma City, Oklahoma. She received her Master’s Degree in French as a Foreign Language in 2017 from the University of Artois and has taught students of all ages and from all over the world throughout various locations such as Denver, Colorado, and Brittany, France. In addition to teaching French, Pauline also served as “Officer of Development” for three years for a French culinary theater company, has a Bachelor’s degree in Art History, and a Master’s Degree in Management of Performing Arts. 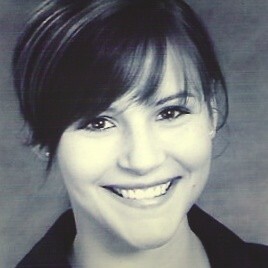 In her spare time, she enjoys cooking, reading, listening to music, hiking, dancing, and learning new languages. Having recently relocated to the Pacific Northwest, Pauline is thrilled to be teaching at the Washington Academy of Languages! Angela has a very diverse background. European born, she graduated French Immersion School in her home town in Bulgaria and she stayed close to home while going to college and graduating from the EU University where she received her Masters in French Language and Literature. She lived and taught in France and Belgium, and she speaks three languages fluently – French, English, and Bulgarian. Angela taught French and English in Europe for several years before coming to Washington State, where she began teaching in Bellevue School District. Angela is passionate about working with bright and diverse communities, and as a French teacher, she has taught all levels from middle school to high school Advanced Placement to adult professionals. Throughout her career, she has been actively involved in the American Association of Teachers of French. Besides teaching French, Angela is pursuing her MBA at CityU, and she is the proud Founder and Principal of the Bulgarian School of Seattle. Emili Barcellos Martins Santos holds a Ph.D. and a M.A. in French Studies (Linguistic, Literary and Translation Studies in French) from the University of São Paulo (Brazil). She has over 15 years of language teaching experience at several institutions. She believes in keeping all her courses student-centered and allowing students to be extensively exposed to the target language from the beginning. She also strives to create a positive classroom environment where everyone feels more comfortable with the language learning process. In addition to teaching experience, Emily has worked at the Québec Immigration Office in Brazil. This experience allowed her to learn more about this French speaking Canadian province, which she had the opportunity to visit for the first time in 2006 for the teacher program “Stage en Langue, Culture et Société Québécoises”, held at the University of Laval. She moved to Seattle with her family in 2017 and besides teaching, she is passionate about reading, exercising, and cooking. Originally from San Francisco, Deborah attended college in Colorado and graduate school in New York City at Columbia University. Deborah now calls Seattle home but she has both studied and traveled extensively throughout Europe. She is always looking forward to her next international adventure. In addition to teaching French, Deborah teaches courses in art history and architectural history. Her current research examines the lives of women architects at L’ École des Beaux-Arts. Deborah also trained as a pastry chef at the French Culinary Institute. She continues to make, share, and look forward to enjoying the best pâtisseries Seattle has to offer. Born in Poland, Maja grew up in Germany from age 2, where she also went to high school and college. She graduated in psychology at the University of Bremen in 2013 and then worked as a psychotherapist before moving to the US in 2016. Having grown up bilingual, Maja loves languages and enjoys teaching them. She spent half a year abroad in Paris where she met her husband. Maja has multiple years of experience in tutoring and teaching languages. In her free time she loves to explore the parks in Seattle, dance, read and hike. Dorothy Orme has an international background. She was born in Buenos Aires, Argentina, and moved to Germany when she was five. She received her formal education in Germany before relocating to the US with her parents and siblings. She did graduate work at the University of Freiburg im Breisgau and holds a Master’s degree in Germanic Languages and Literature from the University of Massachusetts. Dorothy began her career in the Intelligence Community in Washington, D.C. After relocating to the greater New York City area, she worked as a language and cross-cultural trainer in private industry. Her clients were business executives, scientists and lawyers at companies including Aventis, Bayer, BASF, Schering AG, Ciba Geigy, and Merck. She also has extensive experience teaching German and English in academia, including Rutgers and Drew University, as well as various community colleges in New Jersey. She taught German in the NJ public school system for ten years before moving to Seattle. In her spare time, Dorothy enjoys yoga, hiking, reading, and visual and performing arts. She also loves learning new languages and feels quite at home in any multi-cultural setting. Hideki Aikoh has extensive experience as a language instructor. He graduated from Gakushuin University in Tokyo with a B.A. in American literature, as well as a Certificate in Teaching English. He then went on to teach English in Japan for many years. He moved to the U.S. to complete his coursework in the MA TESOL program at the School for International Training, in Vermont, where he also taught Japanese. He has taught at WAL since 1991. His hobby is roasting his own beans for his specialty coffee. Mitsuko studied English Literature and Education at Nara Women’s University in Nara, Japan. She holds a K-12 teaching certification for Washington State. She has been an enthusiastic instructor at Washington Academy of Languages for over 20 years. Mitsuko also taught at Seattle Preparatory School and Seattle Japanese School for over 25 years. Her hobbies include Ikebana (Japanese flower arrangement), drawing, poetry and sewing. Yuko Kozyrev was born in Japan. She studied linguistics and Russian language in Kyoto Sangyo University and Kyoto University graduate school, from which she received PhD in 2005. Yuko taught Russian at Kyoto Prefectural University and Doshisha University before she moved to Seattle. Yuko has been teaching Japanese to adults and children around Seattle since 2010. Trish Ledoux comes to teaching after a long career in publishing. She is the writer/translator/editor of hundreds of anime and manga titles, and her two favorite creators are Rumiko Takahashi and Leiji Matsumoto, both of whom she has met (she even sang karaoke with Takahashi once). A graduate of San Francisco State University, Trish also attended International Christian University in Mitaka, Tokyo, home of the world-famous Studio Ghibli Museum. In addition to teaching, she is currently working in Publishing Approvals at The Pokémon Company International. Kyoko Sano is an educator and an academic researcher of Japanese language and linguistics. Her areas of expertise are Japanese linguistics, semantics/pragmatics, and Japanese pedagogy. With her background in Education, she is a strong believer of multilingualism and foreign language education. Currently, she provides education and research to a wider community through linguistic studies and teaching Japanese as a second language. Her current research goal is the effective application of linguistics and use of technology in foreign language education. She pursues cultural diversity and wider sense of cultural heritage through her daily classroom teachings. Kyoko has a Ph.D. in Linguistics from the University of Washington, a MA and a BA in Education from Shizuoka University, Japan. Eunjeong received her BA in Korea, double-majoring in Korean and English, and then moved to the United States for graduate studies. She recently earned her PhD in Foreign Language Education from The University of Texas at Austin. She has taught various levels of Korean in a nuumber of institutional settings for about eight years. Currently, Eunjeong is also teaching K-12 students at Bellevue Korean School. 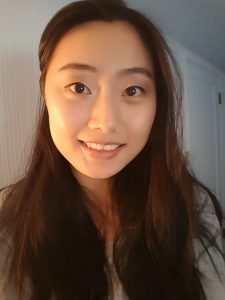 To her teaching at the Washington Academy of Languages, Eunjeong brings her own experience of learning English as an additional language, a solid understanding of second language acquisition, and formal training in American academic institutions. Sangkyung was born and raised in Seoul, Korea. She has taught Korean at various institutes including universities as a foreign language since 2005. She earned her PhD in Korean Language and Culture from the Kyunghee University(which opened a major of Korean Education first in Korea) as well as a certificate in teaching Korean. She has published several books for Korean learners as a co-author or director. Sangkyung is especially interested in developing students’ speaking skills, and she tries to immerse learners in Korean as much as she can. Sangkyung also loves integrating Korean culture into her language courses. Booyoun grew up in Seoul, Korea. She has over ten years of experience in teaching Korean language and culture to international students. Booyoun has MA in Korean Studies from Hankuk University of Foreign Studies in Korea. She has taught Korean language and culture in Korea, China, Sri Lanka and the United States. She participated develop and publishes the textbook ‘Korean for Foreigners’ by Hankuk University of Foreign Studies. She was an exchange student at the University of Washington, Jackson School and taking this opportunity she can stay in Seattle since 2010. A native of Korea, Minjung McKnight received her BA in Korean Language and Literature from Hanyang University in Seoul. She has taught Korean for 7 years at various institutions in Korea, China and the United States and has designed Korean textbooks and several Korean learning apps. In addition to teaching, Minjung is a journalist at a Korean news outlet based in Seattle. Maryam is native speaker of Persian (Farsi). She received her BA in Persian language and literature from Tehran University. She earned her MA in Iranian Ancient Cultures and Languages. Maryam has recently taught Persian language to heritage and non-heritage students at University of Washington for 3 years, and she became a part of UW Startalk in 2015 when she completed the STARTALK teacher program Preparing Persian Teachers for the 21st Century. In all, she has over 10 years of experience teaching Persian at an academic level and served as a vice-counselor at Payam Noor University in Iran. She is a freelance writer and poet. Her articles were published in well-known literature publications in Tehran. Maryam has also collaborated in composing and illustrating the first children’s encyclopedia in Iran. She has a keen interest in Iranian women’s contemporary literature, but her true passion is teaching. Mahshid is a native of Iran and has over twenty-five years of experience as a foreign language tutor, translator and interpreter. She has taught English and Farsi as foreign languages at all levels in private settings as well as in schools and colleges. Mahshid is the author of the book Equivalent of Farsi and English idioms, proverbs and expressions (in press). Mahshid studied in England and received her MS and PhD degrees in nutritional sciences from University of London. She has worked as a teacher and researcher in England, as an associate professor in Iran, and as a consultant to the United Nations Sub-Committee on Nutrition, in Roman and Geneva. Mahshid translated the textbook Human Nutrition from English to Farsi, and she has been on the Editorial Board of the Persian journal New Frontiers in Nutrition. Mahshid has also worked as an interpreter for “Languages for Life” and as a writer of plain language reports for non-scientists with the CERTAIN Project at the University of Washington. Native of São Paulo, Brazil, Jonas brings over 20 years of experience in teaching foreign languages. He has taught English, French, and Portuguese here in the Seattle area and in Brazil, and he has taught English in France, and Switzerland. He also works as a Translator, Interpreter, Voice-over, and Localization Specialist – Portuguese Language. 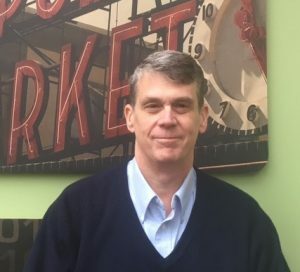 He holds a Master of Education (focus on Adult Ed., Higher Ed., Curriculum and Staff Development, and Second Language Acquisition) and TESOL Diploma from Western Washington University. He also holds a Graduate Degree in Portuguese Language (Linguistics and Pedagogy) from the Universidade Federal do Rio de Janeiro – Brazil, as well as a BA in French, Romance Linguistics, and International Studies from the University of Washington, and he has studied Translation at the University of Washington and Université de Poitier – France. Jonas loves learning languages and continues to do so. Besides the languages he teaches, he can get by in Spanish, Italian, and German. His interests are in the sequencing of L1 and L2 acquisition, Neurolinguistics, Computational Linguistics, Semantics, Quality Improvement, and Leadership. 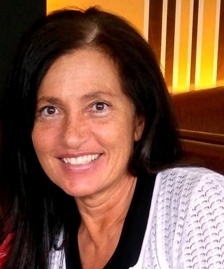 Christina Zubelli was born and raised in Brazil, where she received a Bachelor’s degree in Physics from the Federal University of Rio de Janeiro. Her love of foreign languages started at age seven when her French studies began. Aside from English, her language studies expanded to Italian, Spanish, as well as to Sanskrit and Hindi. She has had language teacher training from the UCLA Heritage Language Learners program, STARTALK, and the American Council on the Teaching of Foreign Languages. Academic conference presentations include Classroom Flipping at the Washington Association for Language Teaching and the University of Washington. Most recently, she has completed a Master’s of Arts in Higher Education at Central Washington University. Christina brings a solid background in language teaching. In addition to Portuguese, she has taught Italian, French, and Sanskrit at various institutions. With engaging classes, Christina believes in making language learning a fun activity. Christina also works as a professional Portuguese translator/software localizer, as well as a Portuguese & Spanish interpreter. To maintain a mind-body balance, Christina is a yoga practitioner, having obtained a 200 and 300-hour teaching certificate in Ashtanga Yoga. Irina Spinosa was born in Moscow, Russia. She earned her MA in Russian Language and Literature and Translation Theory from Moscow State Pedagogical University. She has been teaching Russian to adults and children since she moved to the United States in 2000. She has taught at Seattle Language Academy and North Seattle Community College. Irina is an ATA-certified English into Russian translator. In addition to teaching she works in Translation and Localization industry as a Russian language specialist. Mariana Markova was born in Bulgaria and raised in Russia (Rostov-on-Don). She now lives between Moscow and Seattle. She has over ten years of experience teaching English, Russian, and social sciences, and she has worked in three countries – Russia, Bulgaria and the US. Before coming to Seattle to do a doctorate in Anthropology, she worked as project manager and researcher at major international organizations such as the UN, World Bank, and Doctors Without Borders. She has keen interest in world languages and cultures. Pamela started learning Russian at a small language school in Seattle as a teenager and never looked back. With strong interests in medicine and Russian, she holds an MA in Russian Studies from the University of Washington, as well as an RN degree from North Seattle College. She served in Kyrgyzstan in the Peace Corps as an English teacher and interpreter, worked as a nurse in Russia and Moldova, and has worked in King County as a state-certified Russian medical interpreter. She began teaching Russian at WAL in 2012, and after some time away, she has returned to teach again. A lifelong learner and teacher of languages, Pamela is happiest when able to impart her passion for the Russian language to new students. Camelia Gavrila has taught Spanish at WAL since 2008. Her students enjoy her active classes where conversation and practical demonstrations lead to lots of learning in a convivial atmosphere. Her BA in Spanish Philology is from University of New Hampshire and her MA in Hispanic Literature is from University of Washington where she was also a Spanish language instructor for several years. In addition, she earned a graduate Certificate in Teaching English Language Learnings from WAL/SPU. Camelia has lived in Romania, Spain, and the United States and fluently speaks Romanian, Spanish and English. Aidee Orbegozo has taught Spanish at City U since 2015. Her classes are based on active conversations and interactive activities in a relaxed environment. She earned her BA in Architecture in Mexico. Her teaching certificate and the endorsements in ELL and Special Ed are from City University of Seattle. Her Spanish endorsement was granted by CWU and her MA is from Universidad Iberoamericana Internacional de Puerto Rico. Aidee has been teaching Spanish in high school since 2011. She has lived in Mexico, Spain and Honduras. Marc is a native of Seattle who has over 15 years of language teaching experience. He has taught English all over the world, in Japan, Spain, Mexico, Brazil, Chile, and most recently in Puerto Rico where he also taught Spanish. In the United States, he taught Spanish while earning his Master’s degree at the University of Washington in Romance Linguistics. During his graduate studies, Marc specialized in Spanish Linguistics, and after graduation, he studied Spanish Language and Literature at Complutense University in Madrid, where he also completed a course in Spanish interpreter training at a private institute. He currently works as an interpreter at various hospitals in Seattle, and also translates documents for a group of pharmaceutical companies when he is not busy teaching Spanish. During his free time, Marc enjoys cooking, traveling, and volunteering his time to help the local Latino community. Lissette was born and raised in Caracas, Venezuela where she earned a degree in Tourism Administration from the Instituto Universitario de Nuevas Profesiones and an ESL Diploma from the Centro Venezolano Americano. She taught English in Caracas for three years at the Loscher Institute. Lissette received her BA in Spanish and Portuguese Studies from the University of Minnesota and her Master’s degree in Teaching from Seattle University with endorsements in Spanish and French. She has taught Spanish in the U.S for several years and has worked in Seattle as a Spanish Linguist Analyst for the Drug Enforcement Administration and also as a Spanish Tester Engineer for Samsung, Inc.